The most sophisticated version of solar pond aquaculture at New Alchemy was an aquaponic system developed by Ron Zweig. Fish are grown in a solar pond and lettuce grows hydroponically on the surface. For more information, please read An Integrated Fish Culture Hydroponic Vegetable Production System by Ron Zweig, from Aquaculture Magazine, May/June 1986. An advantage of this system is its structural simplicity: no electric water pumps, no water pipes, no filters, no clarifiers, no plant rooting media, etc. It is a modular, mobile unit. They have worked successfully both outdoors and in greenhouses. 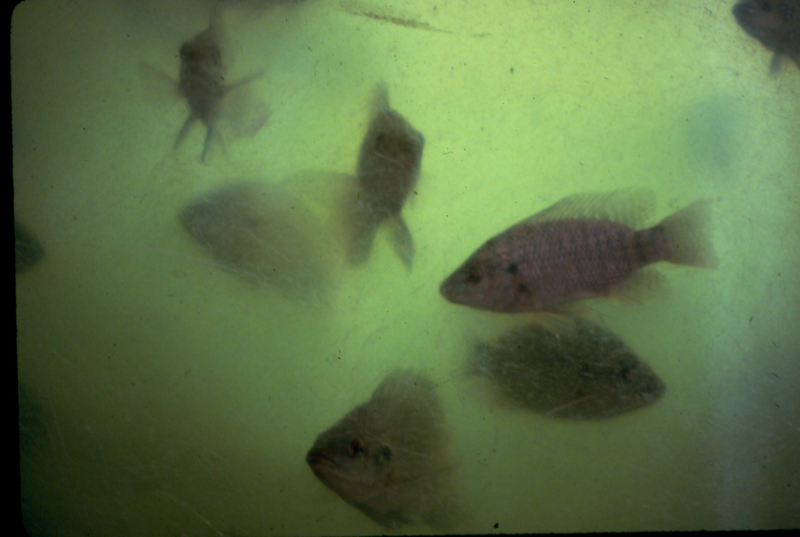 For more information about growing fish and vegetables in solar ponds, read Earle Barnhart’s summary of Zweig Pond Aquaponics.